The advantages of solar energy for the environment are well known. But, do you know the advantages of solar energy as a homeowner? Believe it or not, the history of solar energy is more than 150 years old. Solar energy was first harnessed during the Industrial Revolution by a French physicist. In 1883, the first solar energy rooftop array was created, but it wasn’t until 1905 that a well-known scientist articulated how light could produce electricity. That man was none other than Albert Einstein and he received the Nobel Peace Prize in physics for that paper in 1921. Later on, in the 1970s after the modern technology for harnessing the sun’s power emerged, the government became interested in its abilities as well. The government’s increased interest in solar energy resulted from an energy crisis in 1973. Since the 1970s other movements backing solar energy have emerged, but one thing remains for certain. Solar energy is picking up speed. If you’re interested in installing and purchasing solar energy panels for your home, then continue reading on to learn about the benefits of solar energy. Solar energy panels are an investment that is well worth the cost. While solar panels can seem initially expensive, in the long-term they can pay for themselves. Explore the following advantages of solar energy to determine if they’re worth it for your home and bank account. The federal government offers homeowners using solar panels tax incentives and breaks. 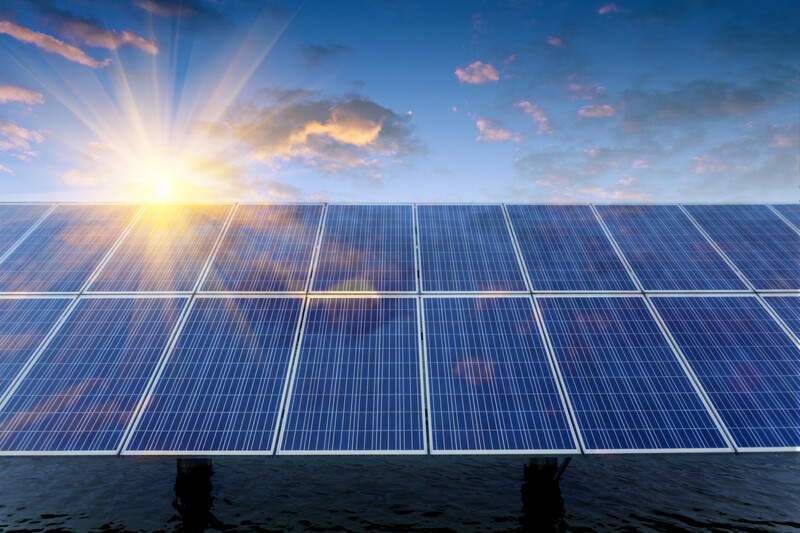 The solar panel tax credit, otherwise known as “investment tax credit” allows you to deduct 30% of the installation and equipment costs from your federal taxes. However, this percentage will only last until 2021. Starting in 2022 and beyond, homeowners will only be able to deduct 10% of their installation costs from their federal taxes. Receiving this tax credit only applies to homeowners who own their solar energy systems. It is not applicable to homeowners who lease or have a Power Purchase Agreement with a third-party solar power operator. A Power Purchase Agreement occurs when a third-party installs a solar energy system but charges the homeowner for the energy the home uses. Local and state governments also provide homeowners with rebates to save even more on solar energy systems. What’s more is that if your solar energy system produces more energy than you use, then you can receive Solar Energy Bill Credits. These credits accrue during the year, after which you can sell the excess energy to utility companies. Electricity bills getting you down during the summer and winter months? You’re not alone. During the harshest weather, our wallets suffer the most. Energy costs are also increasing which puts a further dent in our wallet. Solar energy systems, however, produce energy free of charge. This means your electricity bills could virtually be a whopping $0 if you also have a solar energy battery storage system. How much you’ll save, however, depends on multiple factors. These include how much electricity you use, the size of your solar panel system, the angle of your roof, and the local electricity rates. The number of direct sun hours your solar energy system receives also plays a role. The money you save from energy bills can then be reinvested or saved for unplanned emergencies. Hesistant to install a solar energy system because you’re moving soon? Maybe the following statement will help you to make a decision. According to research, buyers are willing to pay a premium price of $15,000 more for a home with a solar energy system. This is because of lower bills, environmental friendliness, and sustainability. Buyers are also more keen to pay a premium because they won’t need to install a system themselves. Solar energy, while not new, might seem inaccessible to most home buyers. Some may even consider it to be a luxury. But, when a solar system is already installed on a home, the buyer is willing to pay for it. So, if you’re looking for the perfect buyer for your home and have a solar energy system, then expect a return on your investment and an increase in your home’s resale value. A common misconception about solar energy systems is that they only work efficiently in areas that receive a lot of sunlight. However, this belief is simply not true. Solar energy systems work in all types of weather patterns and locations. While it’s true that the best solar energy production comes from sunny locations such as Arizona, solar energy systems can still work in places like Oregon where it’s rainy and cloudy. And, even though sunny locations produce more solar energy, they also require more energy to cool their homes. Solar energy systems can also work in emergency situations with the help of solar powered generators. This is especially helpful if you live in an area known for power outages and severe weather. Installing a solar energy system is a long-term, secure investment. They eventually pay for themselves in energy cost savings, tax incentives, and rebates. They are a secure investment because they provide energy at the same price year round unlike utility companies’ changing rates. Solar panels are also meant to last for a guaranteed 20 to 25 years. After 25 years, solar energy system companies project that they will produce energy at an 80% rate. Ultimately, you can expect your solar energy system to work for 30 to 40 years. The advantages of solar energy for homeowners are vast. As homeowners, we are swamped with bills, responsibilities, and home improvements. Even though solar energy systems have an initial upfront cost, these costs can be mitigated by the long-term and short-term benefits. We can also feel more at peace as homeowners and members of our communities knowing we are improving the environment. Want to improve the environment even more? Plant some trees and check out our blog post all about how to give your garden an affordable makeover.